The name Saber Hossain Chowdhury needs no introduction to followers of Bangladesh cricket. In an exclusive interview with BanglaCricket.com, the ex-BCB President, whose tenure featured an ICC trophy win and a subsequent World Cup berth followed by Bangladesh's entry into the Test world, shares his views on some of the challenges facing the country's cricket today. During his tenure as BCB president, the BCB was decorated with Bangladesh's highest national award - the Independence Day Award and in recognition for his services to cricket, the MCC in 2002 conferred him with its Honorary Life Membership. The name Saber Hossain Chowdhury needs no introduction to followers of Bangladesh cricket. In an exclusive interview with BanglaCricket.com, the ex-BCB President, whose tenure featured an ICC trophy win and a subsequent World Cup berth followed by Bangladesh's entry into the Test world, shares his views on the challenges facing the country's cricket today. During his tenure as BCB president, the BCB was was decorated with Bangladesh's highest national award - the Independence Day Award and in recognition of his services to cricket, the MCC in 2002 conferred him with its Honorary Life Membership. BanglaCricket (BC): First, thank you from all the BanglaCricket members for giving us your valuable time to answer a few questions for the fans. 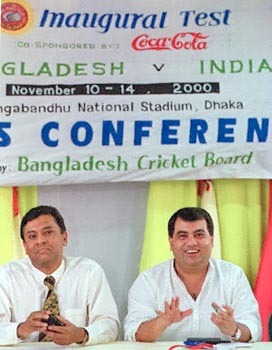 It has been 10 years since your role as the BCB president. Is Bangladesh Cricket today where you expected it to be? If yes, where do you think we have exceeded your expectations and where might we have fallen short. If no, where and how have we fallen short and are there some aspects we have done better than you expected? Saber Hossain Chowdhury (SHC): It is very good to be amongst BC Members and thank you for the opportunity. It has in fact been 11 years! We all have our own expectation thresh holds but if we have a quick look at where Bangladesh Cricket is today through lens of ICC (bottom of test rankings and only above Zimbabwe in the ODIs), this is not inspiring. Personally, when we articulated in 2000 our aspirations to host the 2012 World Cup, I am on record as saying we wanted to be amongst the top six teams globally. How well or otherwise we perform at the international level is invariably a reflection of our inherent strengths and weaknesses, particularly at the domestic front. Natural and raw talent we certainly have but this has to be nurtured and forged into highest levels and standards of professionalism and performance (on and off the filed). Australia is a case in point and I have all along been inspired by their professionalism and singular focus on high performance. I was immensely fortunate as BCB President to interact and learn during my tenure from cricket administrator greats such as Denis Rogers, Ali Bacher, Jagmohan Dalmiya, John Anderson to name a few – all were of brilliant minds, possessed sharpest of intellects, mesmerizingly charismatic and were fountains of wisdom when they spoke in ICC Meetings. Denis would always remind us: “If we fail to plan, we plan to fail”. A clear vision with the requisite planning coupled with robust implementation and dynamic leadership, is where I believe we have faltered conspicuously and of course, professionalism and governance are at heart of the issue here. There was a time in Bangladesh Cricket when we would have trouble paying for routine administrative expenses. Now we should have close to 200 crores in our coffers and this fact of course also vindicates our decision to push for Test Status in late 1990s – I knew we desperately needed money to grow the game and coming out of Government funding was also a prime motivation to secure Full Membership of the ICC, sooner rather than later. So financially, our Test status has been an unquestionable boon but unless the management and governance is really in place and on the ball, how do we capitalize on it and enhance our standards and performances? BC: You are echoing the thoughts of many about the need to play better and leverage the ICC, but surely, the landscape has changed in those 10 years. BCCI (with IPL and TV coffers) wields an extremely heavy influence. Can we/should we forge greater alliance with our neighbors? Be it participation in Ranji of the NCL champion or having our BKSP graduates "graduate" to the Indian National Academy in Bangalore? SHC: When we were pushing for our Test Status, we started by securing the support of the three South Asian Full Members of the ICC and in many ways Bangladesh securing Test Status were a testimony to the solidarity and unity of South Asian cricket. After securing Test Status, again it was a South Asian country that came forward to play in our Inaugural Test Match at the Bongobondhu Stadium and that too in very short notice. So the solidarity was very much in place to begin with – the question is why it is not there today? We now need to restore that and harness the potential and opportunity that exists in a structured alliance with our neighbors. I am all for it. BC: What do you think is the number one problem facing the Bangladesh Cricket team? SHC: I am not comfortable with the problem terminology and approach. Had there not been any problems to face and respond to, we would all be unemployed! I essentially view problems as challenges and opportunities. Yes, our challenges are indeed manifold and this in turn demands that we prioritize and sequence interventions appropriately. 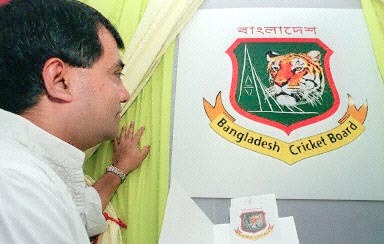 These include establishing accountability of BCB to the game of cricket rather than to politics of the day, have a governance driven administration, decentralizing the game, a strong development process, enhance infrastructure and facilities at the grass root level and last but not least re-instill faith and confidence in the future and quality of Bangladesh cricket, in particular at the international level. BC: How would you institute a culture of accountability in the Bangladeshi context? Especially when so many BCB positions are staffed through political appointees. SHC: Elections would be an important start and we should start looking at how the voters who will elect the Officials are in fact chosen or nominated. This of necessity has to be a process of evolution through ownership and buy in of everyone involved with the game at all levels. The other would be introducing a Code of Ethics / Conduct that would apply to all elected positions. These are not easily implementable initiatives but if the leadership from the top is in place, it is quite possible. Making public all accounts of the Board and having independent auditors to vet the books will also ensure greater accountability through transparency. BC: On the topic of governance, there is confusion and conflict between the role of the President and the CEO. There has even been talk of removing the role of the CEO with that of a COO. What is your ideal governance structure of BCB? What roles do you see the President and the CEO play? SHC: The conflict that you really allude to in your question is in essence about how we run our cricket – will it be individual led and driven or do we take a collective and institutional approach? I am strongly in support of the latter. CEO or COO – let us not get hung up on terms and abbreviations. What we should instead look at is the terms of the reference of the job and what he / she is supposed to be doing and if we get this clarified and articulated, the right terminology will follow automatically and sequentially. BC: How would you go about strengthening the domestic infrastructure? SHC: In our efforts to fast-track our elevation to Full Membership status of the ICC, we focused on the potential of our cricketing future rather than use the strength and integrity of our domestic structure at the time. Hence, whereas all other nations ensured and secured first class status prior to moving into Test, in the case of Bangladesh it was the reverse – we achieved Test status first and then if you like, backward linked into first class status for our domestic cricket. However, this has been more on paper and not so much in practice. Unless we lay strong foundation for our domestic cricket, we should and can never expect sustained and consistent success at the international level. FTP is of course critically important but where is the focus on longer version of the game in our domestic cricket? How many matches of the longer version of the game do our national players play in a season and how competitive are these? Decisions we took at the 2000 AGM in Cox’s Bazaar are yet to be implemented 12 years later and now we are discussing these anew! Two examples – Regional Cricket Associations are yet to be formed and neither have we been able to build a stadium in Cox’s Bazaar. We need playing fields all over the country with good outfields, wickets and basic player facilities, not full-fledged stadiums. A vibrant and effective talent identification and development scheme must be put in place and the game needs to be structured accordingly. Over a five, ten and fifteen year period, we need to work out now many Coaches of different levels/grades we need, how many Umpires, how many scorers, how many academies with a focus on specialization with regard to batting, bowling, fielding and wicket-keeping. Eddie Barlow had drawn out a great development plan for Bangladesh and I am not sure to what extent this has been prioritized and implemented subsequently. We need to get sponsors and communities involved at the local level and without the local engagement and involvement, our national foundations will not have a sound and sustained base. How many of our national players are from Dhaka? At one point Chittagong used to provide the nucleus of our national team but not anymore. The talent lies in the districts and we need to invest here and connect the dots and capture this potential and mainstream it. Adequate funding should be made available so that regular leagues are held all over Bangladesh and if these are organized and managed locally, we will also be creating future administrators for the game. School cricket has already contributed much to our development and I think it can do even more as can the various region based age based competitions and structures. I strongly believe there is clear nexus between quality and quantity – the wider we lay and cast the development net, the more kids we can get to play cricket, the better will be the overall quality of our cricket. A population of 160 million and we cannot have the best team in the world – I do not buy it. Remember also that cricket is in constant competition with other sports in attracting new talent and this is true globally too. The last thing you wish to see as an administrator is a good sporting potential pick or choose a sport other than cricket and hence the profile, aspirations and the vision of cricket in Bangladesh needs to be pitched at a level where other sports cannot even think of an entry. In a very short period cricket has established itself as the fastest growing – and most popular sport – in Bangladesh, a country where traditionally football has by far been the most popular. The premier sporting status that cricket now enjoys in Bangladesh must be enhanced further. Our domestic cricket is as I have indicated earlier, the foundation for our international cricket. Our Dhaka Clubs have been the life-blood of our cricket thus far and will continue to be important in the future also but Dhaka is not Bangladesh and we must reach out to all parts of the country. The nucleus is I believe already there and we need to have an integrated and holistic approach to bring all of these elements of school cricket, district / national / club leagues together in an optimal manner. BC: We are beginning to see a plethora of T20 leagues. The NCL T20 was initiated recently, and we had a successful first edition of the BPL. What are thoughts on this? Do you think BPL will have a positive effect on Bangladesh cricket? SHC: Cricket, as with all sports, needs to be multi-dimensional and appeal to as many sectors and sections as possible in its approach and outlook. BPL has its own appeal and can harness certain commercial and business potential but it cannot and should never be a substitute for the traditional game on which rests the real potential for high performance. BC: The BCB just announced hiring Richard Pybus as the national coach. What do you think of the appointment? What should the board do to ensure that Pybus can succeed? SHC: I am not privy to the internal discussions the Board have had on this. I presume they have debated extensively what it is the Board expects of our National Coach and what qualities he should possess with regard to our specific requirements and aspirations. I do not know Richard personally but I have heard positives about him. As long as we have been process oriented and the selection has been a logical and objective outcome thereof, I feel that is the way to go. Having identified and appointed a professional, the Board should give him freedom and not interfere in his job. I am sure the accountability protocols have been identified and agreed and we should now allow him to perform and deliver results. I presume Richard will submit a detailed plan to the Board and also his recommendations and ideas and these should be discussed and agreed upon quickly so that he can begin his real work. Speaking of coaches, how do we groom local coaches so that they are good enough to take the helm of age group squads, the academy and perhaps the A team? SHC: This should all be part of our Development Plan and Program that I referred to earlier. As we move forward, the number of ex players (including national) in our country is also increasing. If we can get a good development program running, these former players can be provided openings and opportunities, as coaches, umpires, scorers etc. That way cricket for them becomes a life long career and profession and not one that they can only pursue in their younger days and this in turn will hopefully result in higher levels of ownership, motivation and performance. BC: A problem Bangladesh Cricket is facing is the FTP. How do we ensure more games and fewer gaps between series, especially Tests? SHC: This is essentially a performance issue I think but we need to structure the agenda in a way that does not focus on our current negatives. Our performance at the Test level has been extremely disappointing in terms of how badly we have been losing some matches and this in turn points to a huge differential in standards. The argument that we need to come up with is unless we have an opportunity to play and compete at the highest levels with the top teams, how do we improve ourselves. It is a chicken and egg situation but with smart and persuasive advocacy, this though difficult, is certainly not impossible. “Cricket diplomacy” has to be leveraged to the hilt, as was case during our test status application days. BC: Surely, some level of marketing our players can help in the FTP question. With a Shakib, Tamim and to a lesser extent Mushfique, we now have some players with international following. Can we at least for the short-term engage in a "star-centric" approach to market our team? Yes, this is a dimension that can be brought to play, but it cannot be central to our approach. Cricket is a team sport and the team as a unit has to perform. Rather than profiling the Shakibs, Tamims and others, we should perhaps say how many more of the same we could produce if we had more exposure and more opportunity to play at the most competitive of levels. BC: Speaking of opportunities and tours, what is your thought on the on again, off again proposed tour to Pakistan? Should Bangladesh tour to Pakistan? SHC: The manner in which the whole affair was handled was very unfortunate and mixing this agenda with ICC Presidency aspirations was not at all strategically smart. Now the Courts have got involved and it is a very messy situation. As a matter of principle, we should be open to playing any full member country of course but I feel this is perhaps not the right time. I hope that the number of current variables will have come down next year and the tour can be considered then. You recently became majority owner of the first division club Baridhara Dazzlers that will allow you to be a BCB councilor. Was that your intention behind the acquisition? SHC: I would like to set up a cricket academy and the stake in BD is primarily linked to this process as I feel the player’s we develop and the talents we discover must also at some point have an opportunity to play competitive cricket. I would like to see the Academy and BD have at least one or two players in the Bangladesh National Team over the next four or five years. Could you tell us a bit about your vision for this Academy? SHC: The Academy will run on a “not for profit basis” with full scholarship for talented cricketers who do not have financial means. Admission will only be on basis of talent for which we will set up a talent hunting team comprised of coaches and ex national players. It will have an indoor facility so that round the year activities can be conducted. Once we have the talent hunting established, we would like to focus on high performance as well. Sports Biomechanics has not yet been introduced in Bangladesh and I would like to try to make this available, as I believe it is critical in realizing and delivering high performance. Nutrition / diet will also be important areas of attention and focus. I had an occasion to visit the Commonwealth Bank Cricket Academy in Adelaide and spent almost half a day talking to Rod Marsh who was at that time in charge of the Academy. I was much impressed by the set up there and in setting up our Academy; I would like to have a strategic partnership with a similar Academy so that we could from time to time get specialized coaches for special camps covering all the disciplines. BC: A recent amendment to the BCB constitution proposed an election for all posts including the president’s in line with the recommendation of International Cricket Council. Would you be seeking a membership to the BCB Board of Directors? Would you even be considering seeking the presidency again? SHC: Referring back once again to the AGM of 2000, we had resolved then that there would be elections to all posts including that of President. Now here we are twelve years down the road bringing an amendment to the BCB Constitution to allow the President to be elected and that too at the recommendation of the ICC – this is doing the right thing for the wrong reason. As regards my own plans, it is too early to say one way or the other but I do acknowledge that there have been many who feel I should seek the elected Presidency. At the end of the day whether or not I throw my hat in the ring will depend solely on my assessment as to whether I can make a qualitative change for the better and help realize the undoubted potential that exists. Not the position but whether I can perform is what has always mattered to me. BC: Where would you like to see Bangladesh cricket in 10 Years? SHC: In ten years' time, as world champions and one the strongest cricketing nations - respected by opponents, appreciated by fans and inspiring future generations with the spirit of cricket. BC: Thank you so much for your time. Would you have a few words for the passionate fans on BanglaCricket.com? SHC: Believe in Bangladesh and Bangladesh cricket. We have an exciting future as a nation and I believe deep inside our cricket will take us to new heights. This though will take some time and we have to be patient. We also need to bear in mind that in context of Bangladesh, Cricket for us is not just a sport – it is also a platform for national unity, a key ingredient in our nation building. This page has been viewed 6479 times.